Some students budget for coffee, others budget for Adderall. Either one can probably be found at Bird Library– but if you want to get through college the natural way, and by that I mean as a coffee addict, then check out these places. 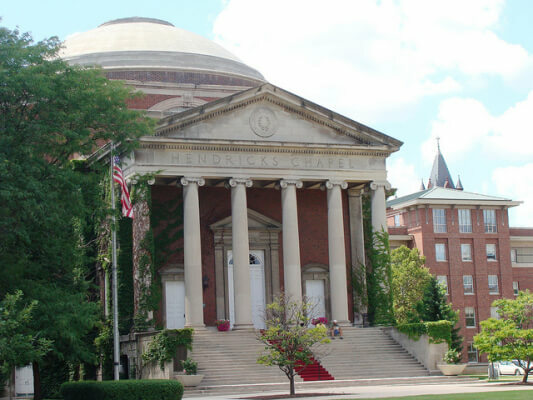 Located at the bottom of Hendricks, People’s Place embodies the charitable spirit of the Chapel through offering inexpensive coffee. It’s student run and non-profit but the drinks don’t taste that way. If you’re only fluent in Starbucks then this isn’t the place for you; they won’t understand “solo grandé non-fat latté” or other fancy jargon but they do serve a coffee, hot chocolate and chocolate milk combo called the “Austin Powers” that’s only $1 for a large. If the cozy Noble Room and inexpensive coffee don’t inspire you to get your work done, then you better sit in on a religious service and pray. There truly is something unique about taking a beverage and filling it with chewy little bubbles. At the Unique Tea House they have smoothies, teas and milks in every exotic flavor with boba– chewy tapioca, aloe or fruit balls that can be added to drinks. The Frothy Coffee packs a punch of caffeine and can be ordered with little coffee balls. If the coffee itself doesn’t keep you awake in class then popping those boba coffee balls will. If you have to stay up late on a weekend to finish a paper and you get kicked out of the library (why does the library close at 10pm on Fridays? ), then the Unique Tea House is the place to go. You’ll usually be able to find an open booth, an outlet and enjoy some imported Asian snacks while you chew on tapioca boba balls. 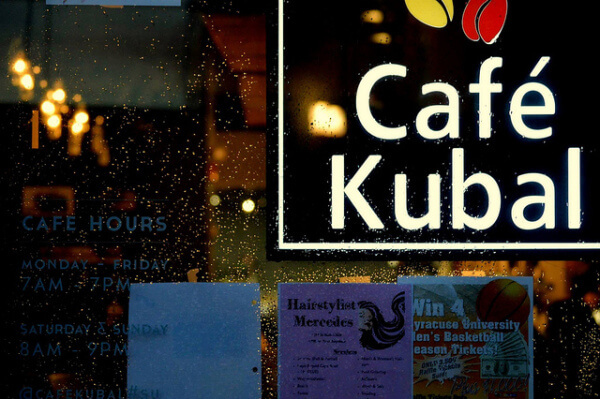 Connected to the 3fifteen thrift store in Marshall Square Mall, Café Kubal doesn’t serve charitably priced drinks, but they’re damn good. If you’re willing to pay a bit more and beat the line at Starbucks then walk a little farther to 3fifteen. This place is trendy, quiet and a great place to do homework. Flavorful drinks, delicious Monkey (banana) Bread and a foam design atop your cappuccino will likely get a buzz going.